Your body language represents what is going on inside you. Medical Research shows that having confident body language actually lowers levels of the stress hormone and makes you feel much more confident. Try to make yourself appear smaller? Are your movements more nervous and shaky? If you take time to improve your body language it can dramatically help your self-confidence. Your voice reflects your self-esteem just as much as your body language does. If you are afraid of disturbing other people or you feel too shy to assert yourself, you will probably speak with a quiet voice. Try saying, “Excuse me,” to strangers as you are trying to walk past them, do they hear you? Numerous studies show that the volume OF, and confidence in, your voice determines how people react to it. There is an interesting tale of a man who drew a square on the ground and stood next to it. When he quietly told people, “please don't step on my box,” most people still walked right through it. But when he yelled assertively, “don't step on my box!” everyone nearby quickly avoided his territory. However, you really do not have to shout for people to pay attention to you, but you can make an effort to speak more loudly so people are more likely to listen to you. Pay attention to when the volume of your voice decreases. You may find that is you are afraid of being judged or rejected. Make an effort to speak more audibly in these situations. Speaking with a higher volume makes people sound far more confident. When you develop daily routines, you may not even realize how small your comfort zone actually is, because you never have to step out of it! When a new activity causes you discomfort, ask yourself whether the situation is actually harmless or are you exaggerating the consequences of a non-existent embarrassment. Every time you want to start a conversation with someone but instead you turn and head off in the opposite direction, you are training yourself to be afraid. Write down your 10 biggest successes in life, take the time to appreciate everything that you have accomplished. Your list could possibly include overcoming a fear, graduating from university, taking a class in something you were interested in, or winning a competition or event that was important to you. The successes may even include things that are much more personal and about emotional experiences that you have endured. Paying more attention to the things you have accomplished, it helps you build your confidence because it builds a higher level of belief in yourself. However there are people who always focus on their embarrassments and failures and that can often make them feel less confident. On the other hand, failures provide excellent opportunities for learning and growth, they do not need to hurt your confidence, unless you allow them to. Incorporating the following powerful habits can help you take huge steps towards improving your self-confidence. 1 Adjust your body language and the volume of your voice to help you feel more confident in social situations. 2. Taking a step outside your comfort zone and focusing on your successes in life will help you improve your confidence because it will show you how much you are actually capable of accomplishing. both easy-going charm and authority. Self confident people are admired by others because everybody would like to be the person who makes everyone else feel like they have got it covered? 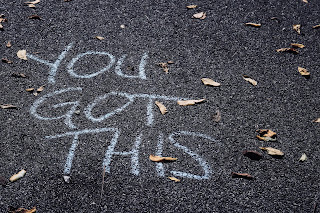 Self confidence is a skill anyone can build and by following the six tips here you can begin that journey and work towards becoming the confident person that everyone else wants to be. Start by imagining yourself as a confident person, think about what that person is doing or saying, and start doing those things. It might feel odd and uncomfortable when you start, but if you wear a smile or consistently adopt confident body language, these positive changes will become part of your regular repertoire. Ultimately you will begin to feel more self assured and that will start affecting practically everything you do. There is a well used saying that is so very true! ‘You are the average of the 5 people you spend the most time with’? The people that you see the most cannot help influencing you – their thoughts, opinions, feelings and actions. We often find ourselves among groups of people where there are strong overlaps in values and lifestyles. Become aware that we consciously choose who we spend time with, therefore by changing the people you are around you can make advantageous changes in our life. If someone in your life is continuously downbeat, or not giving you the support you need, consider spending less time with them, and spend more time looking to bring more positivity into your life. If you imagine a person with good posture and a smile you will almost always be thinking of someone who is naturally happy and self-confident. The power that body language, image and speech has towards creating a positive contribution to your well-being should never be under estimated. Pulling your shoulders back portrays poise and smiling is scientifically proven to make you feel better. If you maintain eye contact with the person you are talking to – they will feel that you are really listening to them. Always try to speak more slowly – the person you are talking to will have more time to process what you are saying. A little bit of grooming can make others perceive you as confident and successful – co-ordinate your clothes, shave, wash your hair, wear your favourite shoes. Low self-confidence is often caused by the negative thoughts running through our minds on a continuous loop and these “voices” are often made up of all the things we have been told by other people throughout our lives, sometimes starting from a very early age. They are powerful because they have been with us for a long time. However, just because we are used to hearing them we do not need to have them control our present. Negative voices are only one element of the many thoughts going on in our head, so the next time you hear them, say to yourself, ‘thank you for contributing’, and then go back to taking those simple, positive steps in your life. “80% of success in life is turning up”. Just by turning up for opportunities in life you give yourself a much better chance of taking them than you would if you stayed in your comfort zone. Try to learn everything that you can about your area of interest, your job or that presentation you are giving and make a commitment to “put yourself out there”. If you do all of these things, your confidence will soar and, in time, you will create a wonderful circle of success for yourself. Life is full of challenges and sometimes these “bumps in the road” can appear to be roadblocks to our success. However, writing down our small accomplishments and charting the progress we have made can lead us into the habit of seeing how our victories can take on a momentum of their own. Record those victories where you can see them, such as on the wall by your desk, or on your bathroom mirror – anywhere you can so that they continue to remind you that you are making progress. 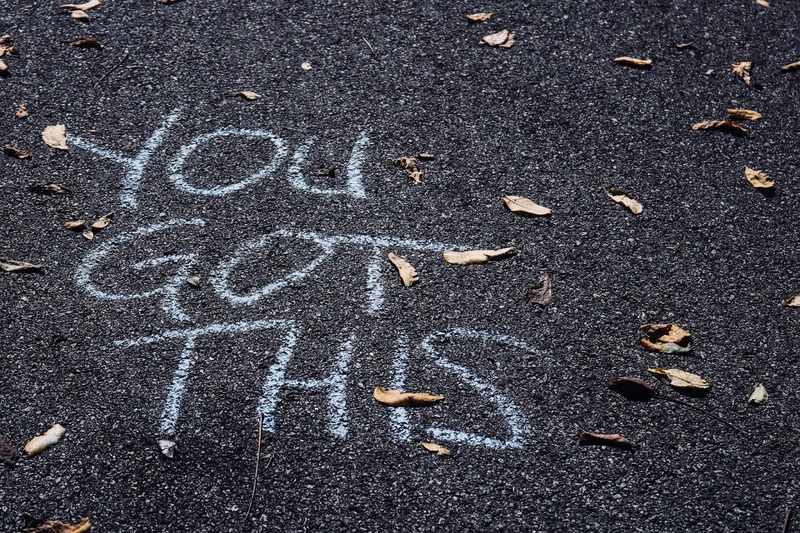 Every one of us can feel a little down sometimes, so having a record of your successes close at hand can provide a welcome boost to your self confidence when you most need it.